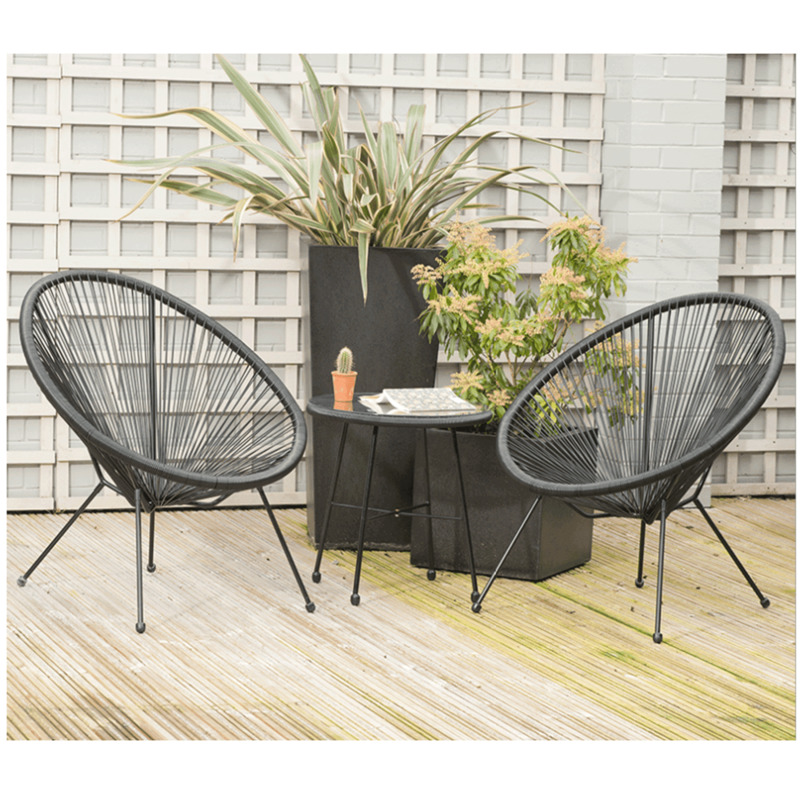 Black PU Rio 3 Piece Bistro Set: This striking, contemporary outdoor bistro set is the perfect addition to any modern outdoor space. This stylish set contains 2 round woven chairs and a glass topped side table. The highly durable synthetic weave is weather resistant, and UV protected, preventing discolouration. The aluminium frames are finished with a premium powder coating, providing exceptional protection against rust and corrosion. The side table is topped with extremely strong tempered glass. Also available in red and black.